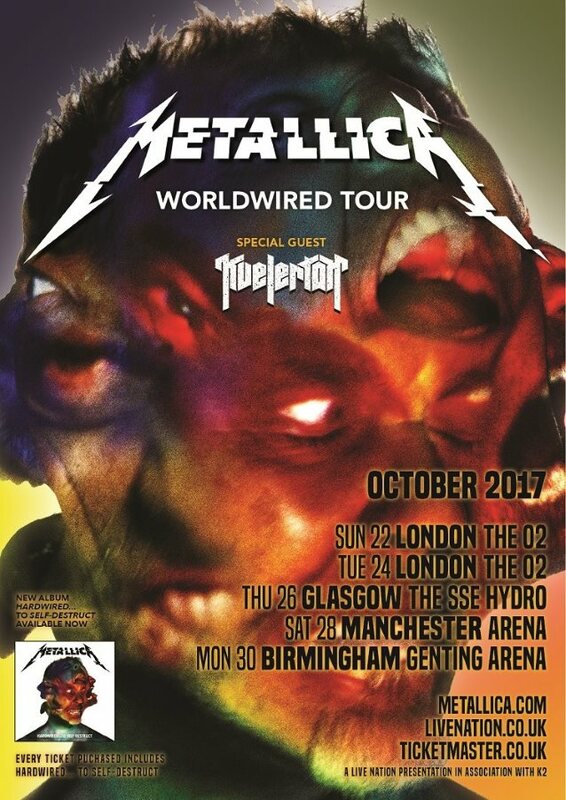 Kirk Hammett and Robert Trujillo paid tribute to hometown legends BLACK SABBATH during METALLICA's concert last night (Monday, October 30) at the Genting Arena in Birmingham, England. 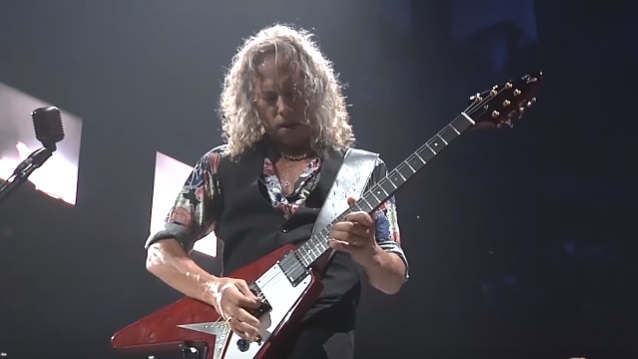 Hammett and Trujillo covered "War Pigs" during their solo section and allowing the fans to sing in full support. Check out fan-filmed video footage below. METALLICA members Lars Ulrich and James Hetfield inducted BLACK SABBATH into the Rock And Roll Hall Of Fame in March 2006 in New York City. In a moving speech, Hetfield choked up as he painted a picture of himself as a nine-year-old introvert who found salvation in the din of Tony Iommi & Co. "He was drawn to them... like a shy boy to his own loud voice," Hetfield said at the event. "Those monstrous riffs lived inside him and spoke the feelings he could never put into words, sending chills of inspiration through him, from those gloomy lyrics and outlaw chords and all." In addition to inducting SABBATH into the Rock Hall, METALLICA performed a medley of SABBATH songs ("Hole in the Sky" and "Iron Man") during the ceremony.